I am a strong believer that some if not most of our life-long interests and tastes -turned passion at times, are often rooted in our childhood memories and experiences. 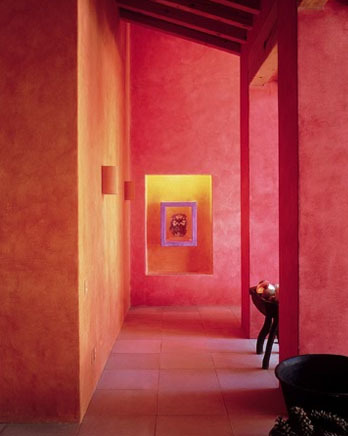 As for me, I have no doubt that my keen interest in visual arts and my unrelenting passion for color are intimately connected to my upbringing in sunny Mexico in a house that was packed to the rafters with vibrant artwork from Latin-American artists and local crafts. And Mexico truly is colorful! Everywhere you look, there is a burst of vibrant hues: sun-drenched almost radiating blue skies, turquoise waters, weathered red and orange hacienda walls surrounded by lush green gardens, bright pink bougainvillea… Not to mention the multicolored traditional textiles or the colorful mouth-watering fruits on the markets. 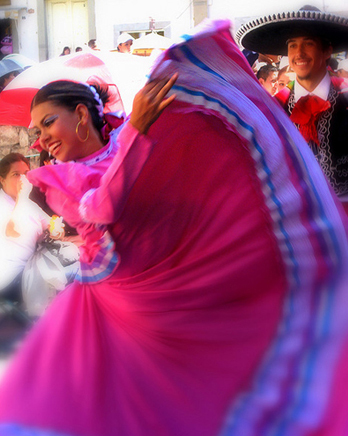 But to me, the one color that embodies the Mexican color palette best is the vivid “Rosa Mexicano”. 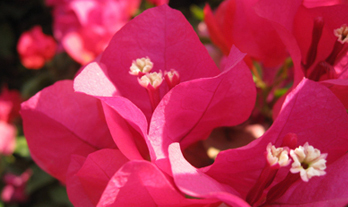 This pink hue is so bright and spirited that it makes you heart race and your feet dance. It always reminds me of Speedy Gonzales’ rallying cry: “¡Ándele! ¡Ándele! ¡Arriba! ¡Arriba! ¡Epa! ¡Epa! ¡Epa! Yeehaw!” Go figure! “Rosa Mexicano” is a color quite difficult to describe though and, as we all know a picture is worth a thousand words, so without further ado here is a selection of images that radiate that explosive hue. 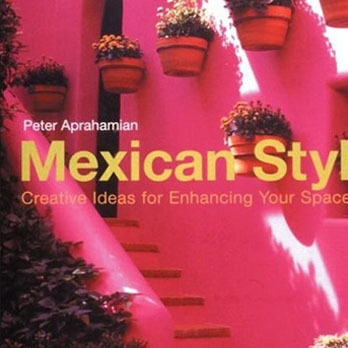 I have always been crazy about “Rosa Mexicano” but I never really knew why the color was called that. Well, it turns out that’s a story in itself! Back in the 1940’s, the concept of national identity was a hot topic among the Mexican society. 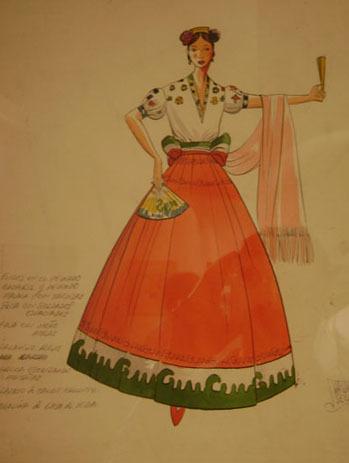 At the time, a debate was raging in particular among the top three fashion designers of the country –Armando Valdez Peza, Ramón Valdiosera and Henri de Chatillon as to whether there was a fashion that could be singularly identified as Mexican. 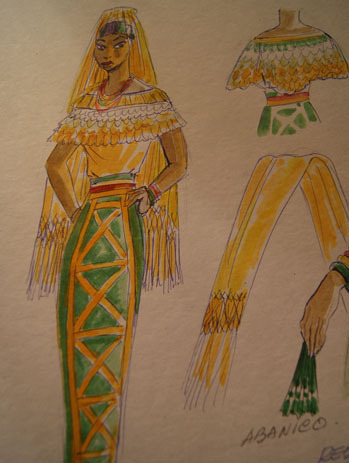 Unlike his peers, Ramón Valdiosera, a native from Veracruz and a columnist turned fashion designer strongly believed and advocated for a true Mexican fashion that was rooted in the country’s history and traditions. 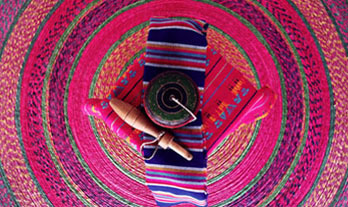 As a columnist, Valdiosera had travelled extensively throughout Mexico in search of inspiration while collecting many traditional outfits that would later sparkle his passion for fashion design. When Miguel Alemán, also a native from Veracruz was elected President of Mexico in 1946, he encouraged Valdiosera to promote his true Mexican fashion abroad, thus helping position Mexico as a highly creative, forward-looking nation attractive to foreign investors. In 1951 Valdiosera presented a collection of bright pink dresses at the Waldorf Astoria in New York. 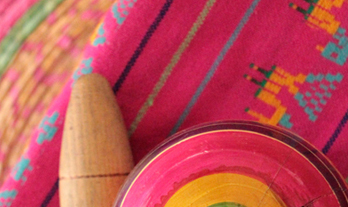 When asked about the color, the fashion designer explained that it was a pink hue very popular in the Mexican culture, commonly used in traditional textiles, Mexican sweets and vernacular architecture. 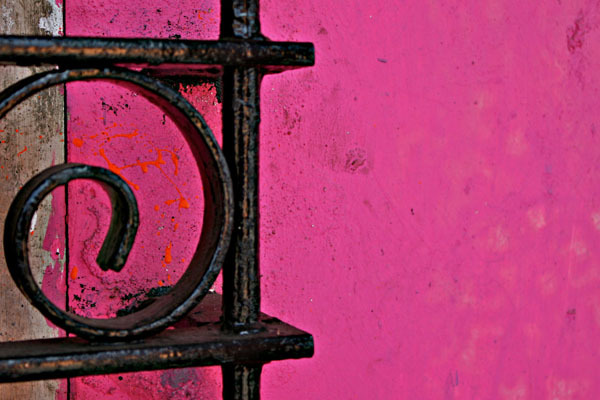 “… so it is a Mexican Pink” concluded a journalist: “Rosa Mexicano” was born. Today Rosa Mexicano is definitely part of the Mexican identity. 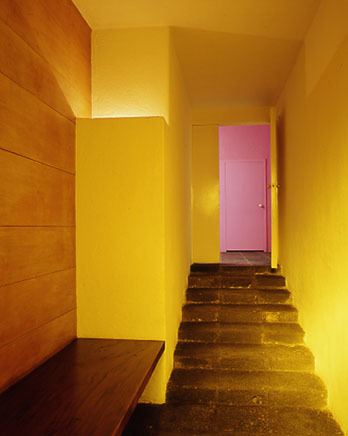 A national color of sorts often featured in the works of renowned Mexican architects such as Luis Barragán, Ricardo Legorreta and Diego Villaseñor. I love it, don’t you? Images (clockwise from top left): Casa La Lagartija by architect Diego Villaseñor , Private residence by Luis Barragán and Hotel Camino Real by architect Ricardo Legorreta. It’ s a journey around the world just reading your blog ! it’s colorful, bright, intertaining and really interesting. You got me hooked, Can’t wait for your next post ! I read it all, curiosity and anecdote are well combined. I LOVED the color, smile on my face, when is the next post ? 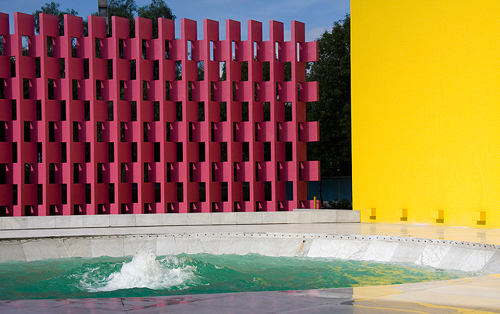 Tricia Guild, english designer, is as colorful as your architect ! I’ll offer you the book as a welcome into the blogger world ! Valérie, J’ADORE, tes textes sont super intéressant, et j’aime ta manière d’écrire!